Chatbots and Hospitality: Robo-Powered Guest Services? 64% of people think 24-hour availability is the top benefit of chatbots (Drift, 2018), and in the hospitality industry, your guests are going to be in different time zones and scattered across the globe. Booking a place to stay for your holiday halfway across the world next month? Chances are your afternoon is their midnight! Round-the-clock availability has never been simpler – after all, bots don’t need to sleep. 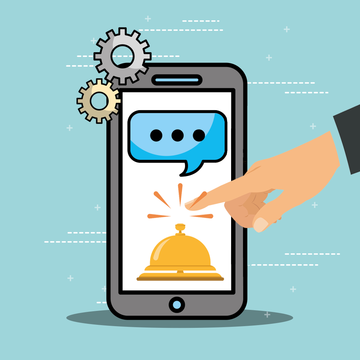 It’s not just hotels, but reserving tables for drinks or dinner can all be accomplished with a chatbot. They also don’t need to speak your language, just the language of your customers. This is an incredibly powerful tool for almost any industry, but hospitality has its own unique challenges: for one, international travel comes with international people, and international people have international languages! Ease of communication can make or break a booking, and chatbots can be programmed with this in mind, no matter what lingua franca your guests are speaking. The front desk of any hotel is a powerful visual metaphor for “F.A.Q” – day in, day out, the same questions are asked, the same attractions and tours, and room upgrades… it’s an endless cycle, but a necessary one. But yours could be the front desk in all of your guests’ pockets! Bots can do all these things and more, also they can even learn to make recommendations tailored to your guests’ preferences. Restaurants and bars can benefit, too. No need to phone up and ask about dietary requirements, wheelchair accessibility or opening hours when you can just ask a bot! Easy to use systems like Clustaar’s have already proven themselves in applications like this – chatbots excel at this sort of repetitive but absolutely vital answering of questions, which could give you all sorts of timely breathing room. 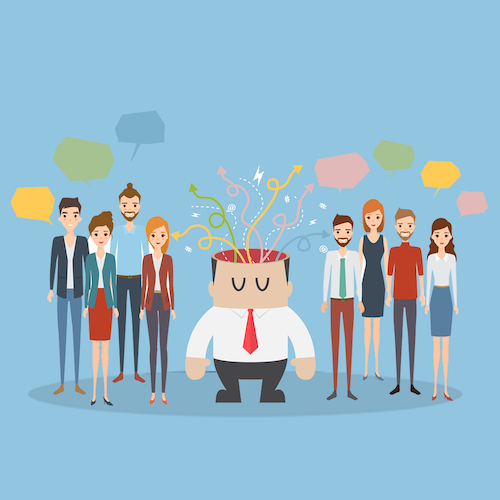 If you run a restaurant, bar, hotel, or any other sort of hospitality business, you value knowing your customers’ wants and needs, right? Valuable insights from guest interactions are often lost when performed by humans alone, reduced to just a booking date and a name, when that interaction is handled by a bot, the information is right there! Every interaction your guests have with a bot is literally teaching it -machine learning is a hugely powerful resource to have at your hands. Data can be gathered at all times to enhance your understanding of your potential guests and customers, allowing you (and your bots) to then tailor and adjust the experiences and services you offer – meaning many more happy guests in the future. Building a bot sounds like a distinct challenge, though – and it was! Luckily for you, Clustaar has already done that. It’s never been easier to get your own chatbot up and running on a multitude of platforms. Give it a whirl with a free demo, and speak with our bot experts!